Last week, I asked the founders of Jackson Park Watch (JPW) to take me on a guided tour of Jackson Park. 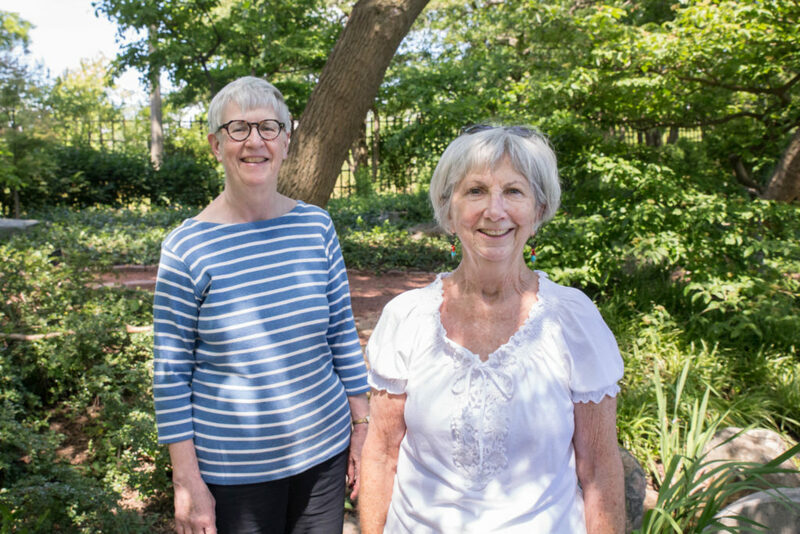 Headed by two women, Brenda Nelms and Margaret Schmid, JPW has been an undeniable community force for just over a year in demanding more transparency and public input regarding the changes coming to the park, including the Obama Presidential Center, the proposed golf course redesign, and a revamped Wooded Island. As I sat on a park bench at the corner of 60th Street and Stony Island Avenue waiting for Nelms to arrive, I couldn’t help but admire the lush strip of the park that lies between Stony Island Avenue and Cornell Drive. The flowers were blooming, and the trees cast cool shadows, which created a strange sense of peace despite the endless stream of cars driving through it. I almost didn’t notice when Nelms arrived. I saw her waiting across the street, gently observing the leaves of a tree as I approached. As we began talking about the park and the upcoming Obama library, I asked her if we could walk to the exact location of the future site. Nelms simply pointed across the street. The area I was just sitting at five minutes ago was part of the land allotted to the Obama Foundation for the construction of the Obama Presidential Center (OPC) slated to begin construction in 2019. Although the date seems far away, the planning has already begun. While we stood at the corner of 60th and Stony Island, Nelms noted the people hidden behind a row of cars who seemed to be discussing something. Attention to detail regarding the impact of these projects on water table levels, traffic conditions, parking, and other aspects where urban life interacts with park development is something Jackson Park Watch excels at. It is especially useful when Nelms and Schmid are trying to pry information out of groups, nonprofits, and city officials about their plans for the park. 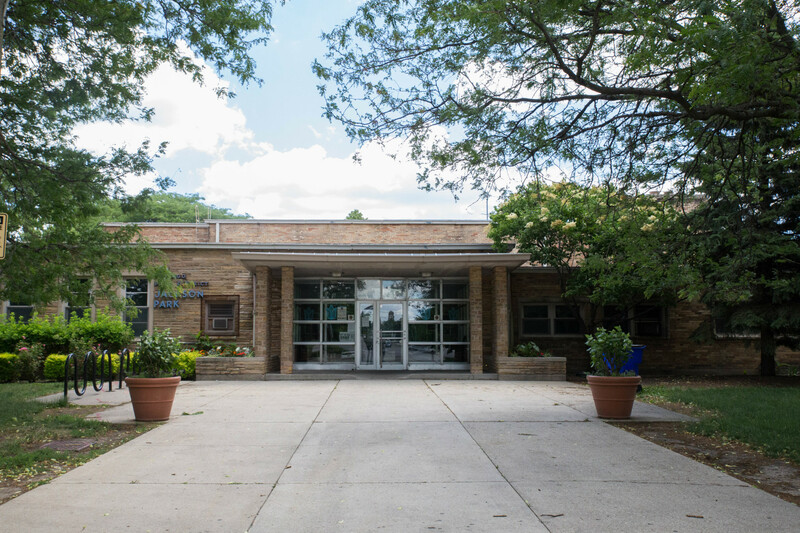 With the recent influx of new developments in the park, JPW has been pressuring the Obama Foundation, the Chicago Parks Golf Alliance, and the Park District to consider these details as well, and to answer the numerous questions activists and community members have had regarding these projects’ impacts on both the park and the neighborhood. As we walked along Cornell Drive towards 63rd Street, through the golf course, and around Hayes Drive, there were a variety of people taking advantage of the nice weather and utilizing the park in myriad ways. An older woman diligently walked laps around a track as two younger women sprinted up and down the football field inside of it. A young man lay in the middle of the track in the shade, resting his head on his backpack. A group of four middle-aged men, sweater vests and khakis included, enjoyed a round of golf. A man greeted us as he made his way to a pond, fishing equipment in one hand. For Nelms, the importance of Jackson Park lies in its openness, simplicity, and serenity—where people can use it to walk their dogs, read a book, sit and watch birds, or have picnics. She calls these activities more “contemplative and individually driven” instead of program-driven. On the opposite end, Maggie Daley Park and Millennium Park in the Loop are busy, jam-packed, and frequently used for sponsored events. When this happens, Nelms argues that a park becomes a destination instead of part of a community and neighborhood. According to Nelms, Jackson Park Golf Course is used for more than just golf. The flatness and openness of the course is perfect for the winter, when people go cross-country skiing over it. One of her concerns about the golf course potentially turning into a competition-grade course, as is currently proposed, is whether it’ll be completely fenced off to residents. The renovation of the golf course would also mean either the destruction or relocation of the tennis courts on the golf course and the ball fields nearby. How the Jackson Park Field House that lies right across the street will accommodate their programming for the destruction of these amenities is yet to be addressed. There was a proposed athletic center as part of the OPC campus, but whether it is meant to replace the Field House or to be a supplementary athletic center has also been left uncertain. As we continued walking, it was impossible to ignore the litter in the grass and the deep cracks in the sidewalks, loose rocks and jagged edges making it treacherous for both walkers and bikers to take these paths. It is worth wondering why these repairs were never provided by the Park District when, according to Nelms, residents asked for better upkeep of the grounds fifteen years ago. Nelms also pointed out that with the proposed placement of the Obama Center, it is unlikely that Project 120’s plan of revamping the Garden of the Phoenix will occur. Before the announcement, Project 120, a privately-funded nonprofit developing a handful of projects in the northern half of the park, proposed the recreation of the Phoenix Pavilion, which existed during the 1893 World’s Columbian Exposition but was heavily damaged due to arson in 1946. It would include an outdoor performance venue, cafes, and exhibit spaces along the lakeshore that, on the initial plans, would be located very close to the OPC. While Nelms said that the Obama Foundation never supported the Phoenix Pavilion because the OPC will have its own outdoor space for activities, Project 120’s memorandum of understanding with the Park District doesn’t expire until later this year. In theory, Project 120’s plans could go through, but it remains highly improbable. Still, Jackson Park Watch has a long fight ahead of it as it attempts to demand more answers from these organizations that all have their hands on a share of the park. They plan to urge for more community discussions to ensure the impact of every project on the park is understood. Appropriate conditions for cross country skiing in Jackson Park happen only about 10 days out of the year and besides there is plenty of space outside the golf course for skiing. These ladies are complaining just to complain. The author of the article observes many ways in which Jackson Park and South Shore parks are used other than golf. These recreational activities and natural habitats are indeed threatened by the misguided golf-course proposal to destroy both Parks. Not mentioned by the author is how current golfers would be harmed, and effectively denied access to their leisure activity… through years of closure and construction, and through exorbitant greens fees for the new luxury course. It was stated that fees would be increased from $30 at Jackson Park to $200 per round for non-residents of the city of Chicago, and the fees for residents would also certainly be much higher. In other words, the main use of the parks, by land area, is also compromised. Who would benefit from this proposal, besides the land developers who would pocket the taxpayers’ money? As our city and state desperately seek money they continue to shed our most valuable public commodity; land. Any public-private partnership of parks swiftly removes any meaningful public aspect. I have seen it first hand in Cincinnati , Nashville, NYC, and Pittsburgh. The southern perspective of territorial isolation and fiercely private spaces and access are overtaking this great northern city.